Sciemetric’s global team of data analytics experts, application, installation and support engineers are here to help you make the most of your Sciemetric technology investment and achieve your manufacturing goals. Make data work for you. Our data analytics experts can show you how you can apply data to manage, control, and optimize your production line. Get the help of our Applications team to ensure quality deployment of your new technology and faster time-to-market. Let our in-process test engineers assess your operation’s current state, identify and preempt issues and optimize your production line for improved efficiency and maximum profit. Let our leak experts show you how you can improve quality, productivity, and ongoing leak test management while reducing cost. Help your workforce build the technical knowledge they need to be successful on the job. With Sciemetric custom-tailored services, you get the right level of advice for your unique enterprise goals. Whether you are interested in a specific service or comprehensive service package, our expert staff can help you resolve your manufacturing challenge or achieve desired outcome on the production line. Our innovative, personalized, industry-proven methodologies can help you maximize your operational efficiency and you boost your competitive advantage. Sciemetric services are delivered by a dedicated team of data analytics experts, application, quality and process engineers, and project managers. We are all highly skilled and certified professionals that draw on decades of experience and collective knowledge of manufacturing processes and test methods. Our top priority is that as a customer you are most successful with our technology and can maximize the benefits of your Sciemetric investment. Whether it’s finding ways to improve throughput, designing a new test solution, resolving a challenging problem on your assembly line, commissioning equipment on your plant floor, training your staff or responding to a support inquiry, we are there to make it happen and help you get it right from the start. Sciemetric offers global support with regional offices in five countries: Canada, United States, United Kingdom, China and India. Engage our services to ensure faster, safer and most efficient implementation of our technology and equipment. After all, we are the ones that have the most in-depth knowledge of the capabilities of our products. Manufacturers know that leak testing is one of the most challenging areas of production line testing. 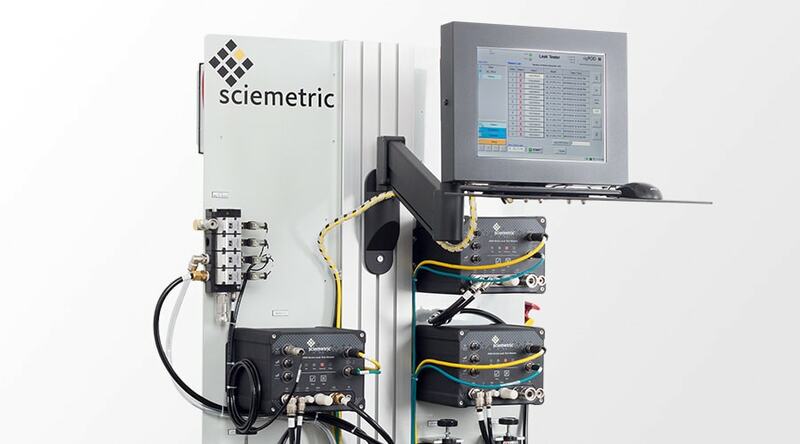 That is why Sciemetric offers a range of services and support to ensure your success throughout the lifecycle of your leak tester – from initial consultation to deliver the leak tester that is best optimized for your part and production schedule, through to Installation and Support services, to Maintenance and Calibration services, and Training. Sciemetric Data Management and Manufacturing analytics consultation can help you gain the indispensable insight for data-driven decision making. Not just any data, but reliable and real-time data you can trust. We’ve been helping manufacturers make better use of their data for more than a decade. 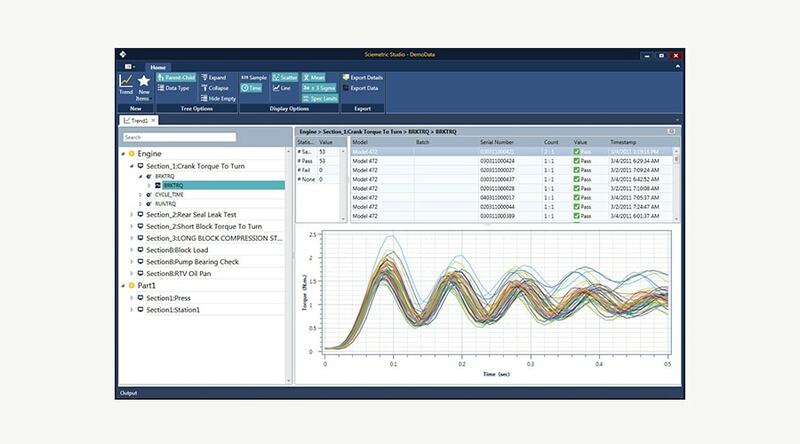 Our approach to data analysis is based on industry-leading process signature technology and a suite of tools for smart factory monitoring and process optimization.